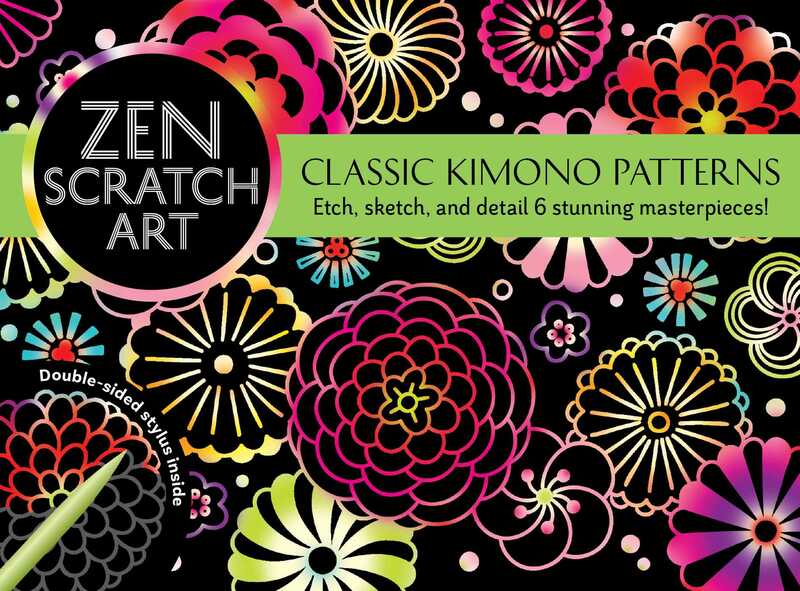 Spectacular designs are waiting for the perfect, patient, creative hand to unearth them in Zen Scratch Art. The process of scratching and sketching is a meditative, gratifying experience, as you embellish and detail exquisite kimono patterns. Each personalized mini masterpiece can be displayed, or used as a one-of-a-kind notecard (an envelope is included in the kit).